We offer both à la carte services for the experienced rodent researcher as well as full-service model design, production and quality control. Mouse models, including null and point mutant alleles, are generated by microinjection or electroporation of Cas9 RNA-guided nuclease (Cas9-RGN) and guide RNAs (gRNAs) that specify the target site into zygotes. Current protocols include efficient production of indel (85% success), exon deletion (85% success), point mutant (75% success) and short sequence tagged (75% success) alleles. Null alleles are generated by electroporation of Cas9 RNA-guided nuclease (Cas9-RGN) and guide RNAs (gRNAs) that specify the target site into rat zygotes. You or we can do the gene annotation and allele design, including gRNA identification and selection. The gRNAs are synthesized and prepared with other necessary components at TCP. Several à la carte services are available to assist in the identification of founders, their breeding, and the identification and QC of N1 animals. Gene targeting utilizes homologous recombination to replace targeted regions of endogenous DNA with engineered DNA in validated embryonic stem (ES) cell lines to generate knock-out, knock-in, point mutant or conditional alleles. Electroporation of the targeting vector into validated parental ES cell lines (C57BL/6NTac-C2, 129S6B6NF1-G4, 129S1 x 129X1-R1), isolation of antibiotic-resistant colonies in maximum two 96-well plates per attempt and their cryopreservation. Replica plates for DNA isolation can be provided to the investigator or screened for the mutation of interest by TCP. Chimeras are generated using genetically modified mouse ES cells, induced pluripotent stem (iPS) cells or different combinations of mutant and wild type embryos including tetraploid. Chimeras can be used directly for experimentation or to establish mouse lines by breeding to transmit the ES or iPS cell genome. Method used depends on research goals, stem cell type, embryonic stage and strain background of ES cells and host embryos. Genetically modified ES cells can be produced by TCP or by the investigator or obtained from the International Mouse Phenotyping Consortium . 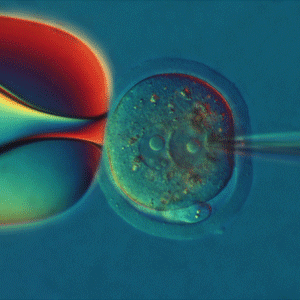 Transgenic mice are produced by pronuclear microinjection of DNA constructs into zygotes. Transgenic lines are established upon random integration of the DNA construct into the host zygote genome and subsequent breeding of founders for germline transmission. Providing samples for genotyping. Chromosome copy number assessment for ES cell lines can be performed at TCP. Mice can be rederived into specific pathogen-free (SPF) status to eliminate contamination by specified pathogens. Harvesting pre-implantation stage embryos after mating superovulated wild-type donors to mutant males housed in TCP containment.